It was not until the last 2 years that I finally stepped on one of the greatest Buddhist temple in Southeast Asia. 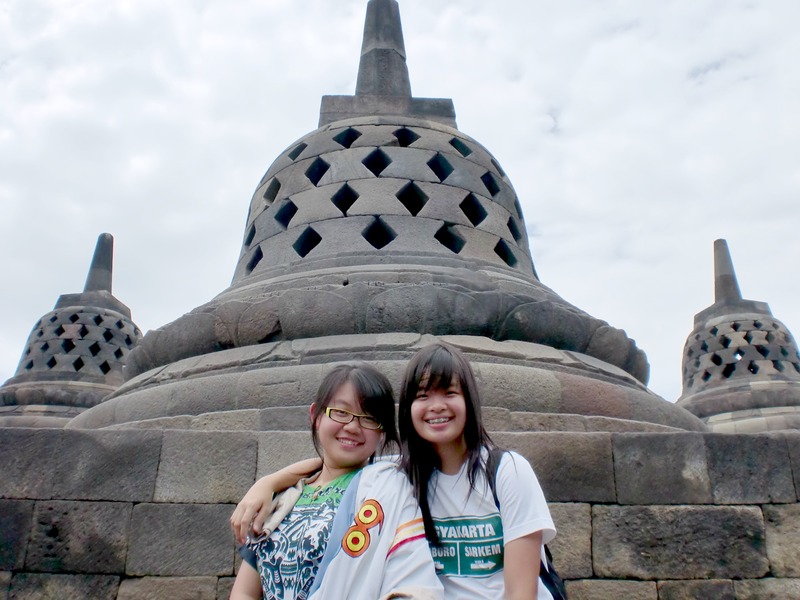 Yes, I went to Yogyakarta (or simply Yogya), which is one of the foremost cultural centers of Java, last 2 years with some friends. 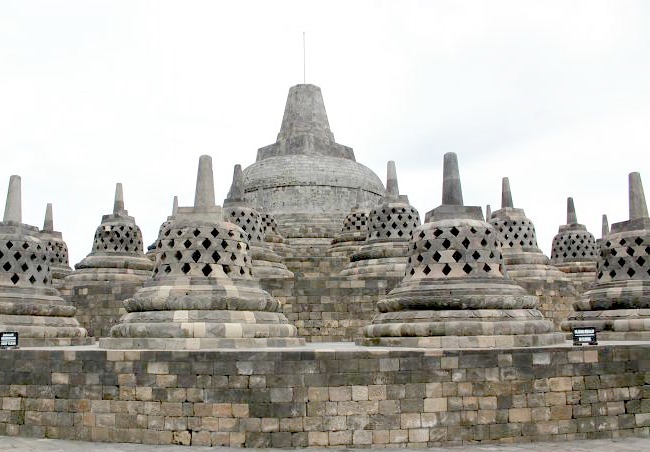 And for me, visiting Yogya would not be complete without going to the Borobudur temple. 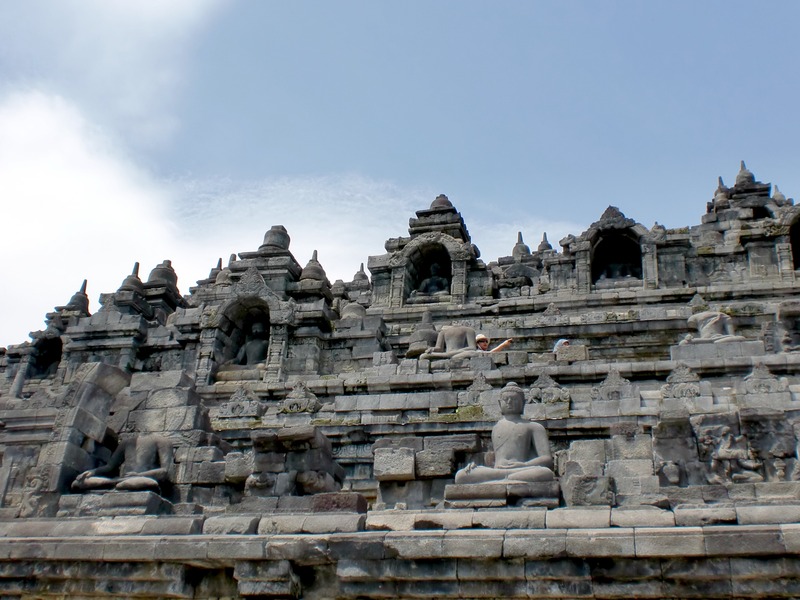 This temple is a main tourist attraction in Java Island, and it’s even listed as a UNESCO World Heritage Site. I’m not sure when this temple was built, but it’s been there long enough. Since 8th century, perhaps? People said, it was constructed with in excess of two million stone blocks with man hands! 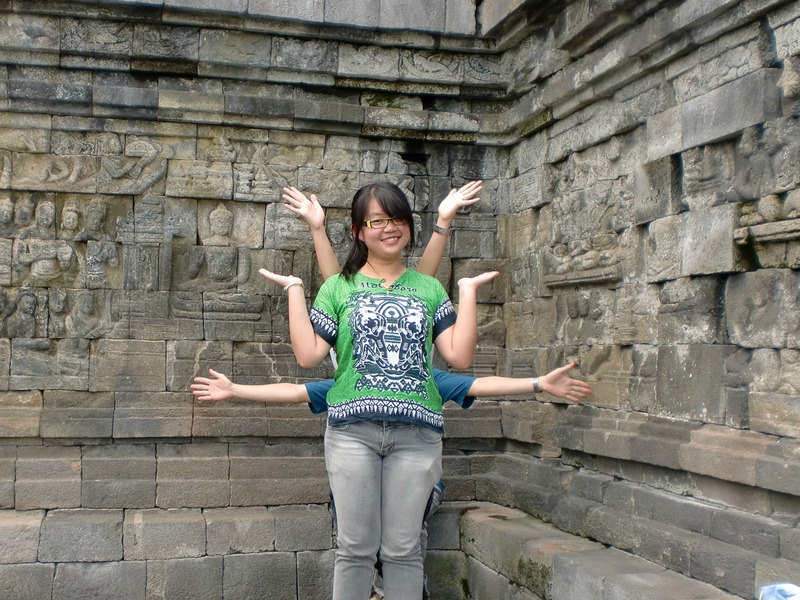 Can you imagine how long it took to complete this huge temple? 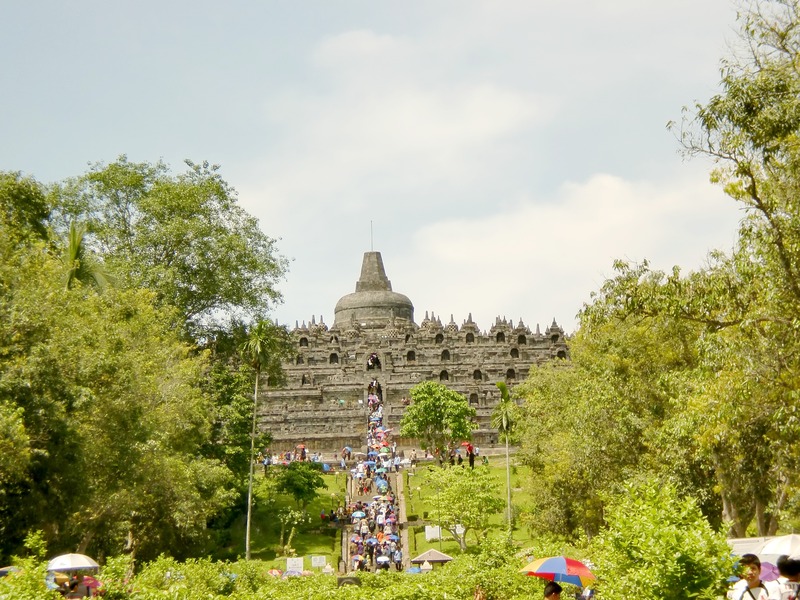 But too bad that Borobudur was affected by the eruption of Mount Merapi in October 2010, and I visited this temple right after the eruption was over. There was layer of ash up to 1 cm thick fell onto the temple & people were wearing masks to protect their lungs. The only thing that matter was the weather. The summer heat was so terrible that day, and I was too excited that I forgot to put my sunblock on. But I don’t mind getting burnt. I’m glad I did have a chance to visit this place. The view from up there is… magnificent. 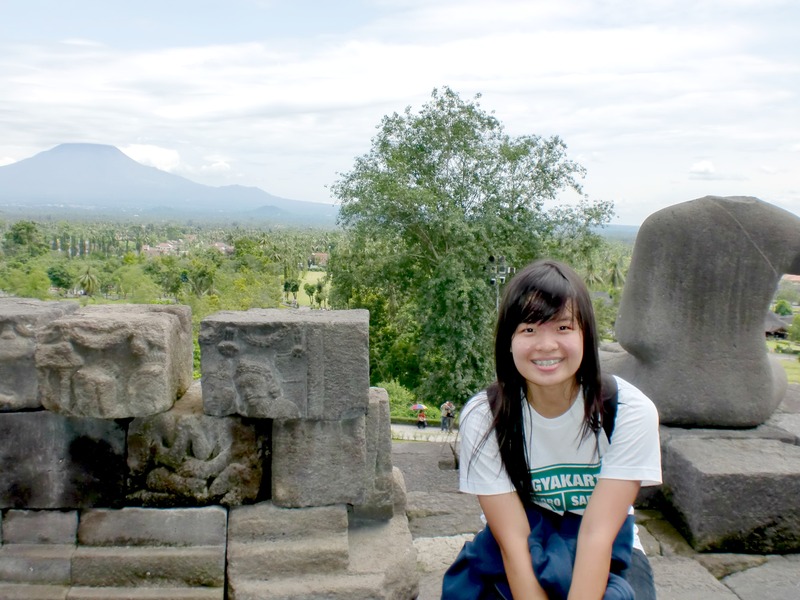 Next time I visit Yogya, I’m gonna visit Prambanan Temple too! Going a round uh..? see http://www.ndekwur.blogspot.com for relax! Jalan-Jalan di George Town, Penang : Kemana Aja? Buat situs web atau blog di WordPress.com Tema: Canard oleh Automattic.